​A number of private insurers are now offering flood insurance products to homeowners across Saskatchewan. This change may affect your eligibility for financial assistance under PDAP in the future. 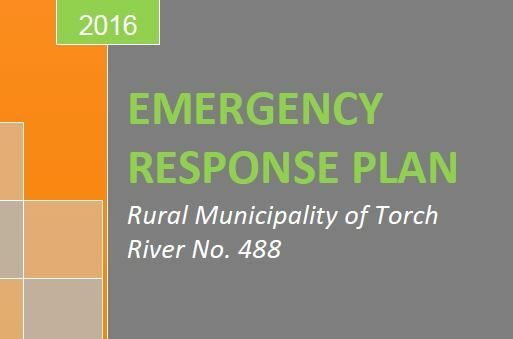 ​The RM of Torch River has created this Emergency Response Plan in order to provide guidance to respond effectively to a disaster or major emergency. This Document will not prevent nor reduce the possibility of a disaster or emergency occurring. It will aid in providing a prompt and co-ordinated multi-agency response, thereby reducing human suffering and loss or damage to property or the environment. ​To view Emergency Response Plan click here. advise when the incident is over. Alerts will be issued for emergency situations such as train derailments, tornadoes and plow winds, blizzards, wildfires, hazardous material spills, boil water advisories, road closures, and evacuations or local emergency declarations. Residents can sign up to receive alerts for the entire provinces, an individual community, or multiple communities. This includes rural and urban municipalities and First Nations.